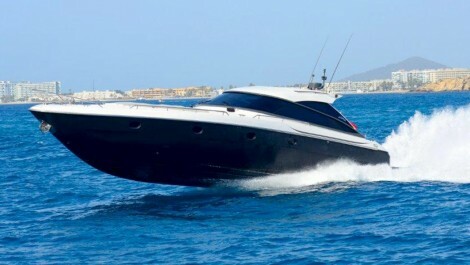 We are offering luxury yacht & boat chartering services in Ibiza, you can trust us to provide the best! We have a large selection of yachts or boats, we surely find the right one for your needs and your budget! All our yachts and boats come with trained skippers and if required with a suitable service crew. Our selection of yachts and boats in ibiza allow you to have precisely the type of sailing experience & boat charter you wish! 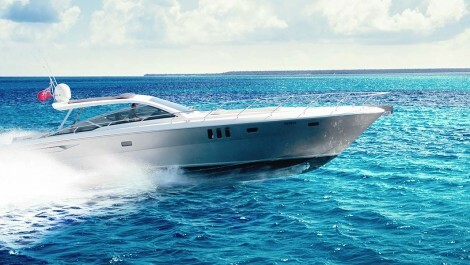 Yacht or boat charter in Ibiza has never been easier and more enjoyable. Priamos Ibiza offers a fine selection of the most prestigious, elegant and powerful yachts and speedboats available on the island. Our experienced team creates charter ideas, itineraries and programs for groups of all sizes and budgets and we look forward to assist you in creating your special event on the waters of our fine island. Explore the many options in our pages and browse our boats to see what can best suit your requirements. Many different civilisations have passed through Ibiza over the ages. The local language of Ibiza is Catalan, similar to Spanish and most locals are fluent in both. You will find however, that English is also spoken by most of the tourist-ready inhabitants. The island has the UNESCO World Heritage designation for its cultural wealth, including the outstanding Phoenician site at Sa Caleta, the necropolis at Puig des Molins, and the historic old town of Eivissa, Dalt Vila. On this island you will also find a unique atmosphere. Ibiza also has excellent air communications: its airport is just a few kilometres from Eivissa, with scheduled flights to the other Balearic Islands, the Spanish mainland and a range of European capitals. Ibiza is a wonderful island, with emeralds beaches, and an always blue sky (more than 300 days of sunshine per year). Come here to discover more than 50 wonderful beaches with yacht charter and spend unforgettable holidays. Ibiza has a remarkably mild climate - even in winter the temperature rarely drops under 10º celsius. If you are looking for the best time to go to Ibiza you will first need to figure out why you are going. If you want wanting to avoid the huge crowds but still have good enough weather for the beaches and other activities you will want to visit Ibiza somewhere between the middle of May and the last week of July. In Ibiza the summer season and the first really warm beach days begin in May, with beautiful clear, sunny days and temperatures in the mid-twenties. Between the months of June and September, there is very little rainfall. In August and September the temperature rises to over 30 degrees Celsius (86° Fahrenheit). With water temperatures of 25º - 27º Celsius (77° - 81° Fahrenheit). Ibiza has become one of the most poular jetsetter destinations and is considered the number one hotspot in the mediterannean. Home of the greatest clubbing experiences on the planet. The island has some of the craziest parties and the most famous DJs playing in top clubs every hour of the day, but it also has so much more to offer. The island is full trendy beach clubs, delicious restaurants, cute little markets and boutiques and of course an amazing energy. You can watch some of the best sunsets in the world from one of the many beach bars on yacht. One of the main reason Ibiza has stood the test of time is due to the diversity and constant innovation of the nightlife. Every season sees the arrival of the latest parties, brand new venues and fashionable new places to go. For a quieter getaway, you can also hop on a short yacht ride to the neighboring island of Formentera. In our pursuit for perfection, we offer ultimate experiences for our clients. Let us make your stay on the Island to an unforgettable time. We personally guide you through the best of Ibiza, taking care of all your needs Our team has years of Ibiza experience, we will provide you with the highest service at the most competitive prices. 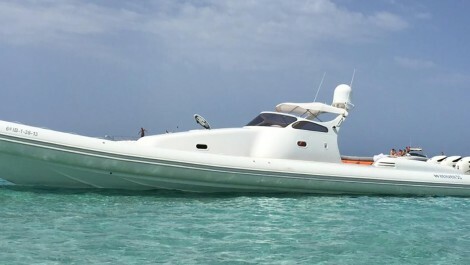 You'd like to spend a day (or more) on the beautiful waters of Ibiza and Formentera but not sure of where to go or which boat to hire. Just call +34 625 664 507 or write and let us help you!